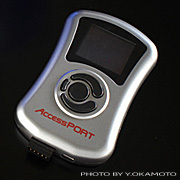 Home > News Releases > New Products and Services > AS introduces MY11 R35GT-R AccessPORT. 01/01/2012 AS introduces MY11 R35GT-R AccessPORT. AS R35 GT-R maintenance program is now online. «| Top |» Connect AS via facebook!